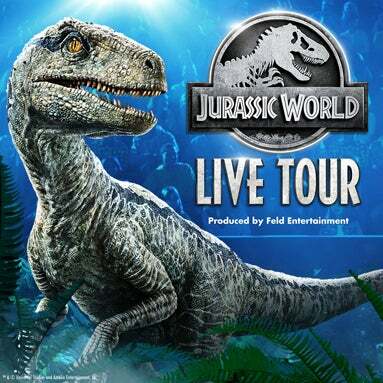 Tickets are now on sale for Jurassic World Live Tour, an exhilarating and unpredictable live, family entertainment experience that will bring the wonder and thrills of Jurassic World to generations of fans in their hometown arenas. The highly anticipated show will host its world premiere this fall in Chicago and continue touring the country with more than 65 stops, including major markets such as New York City, Boston, Los Angeles and Dallas. Jurassic World will play the Greensboro Coliseum Complex, January 30-February 2, 2020. Tickets are available at the Greensboro Coliseum box office and Tickemaster.